This is a rectangular Headlight Overalls porcelain sign. This particular Headlight Overalls sign is blue with white print. 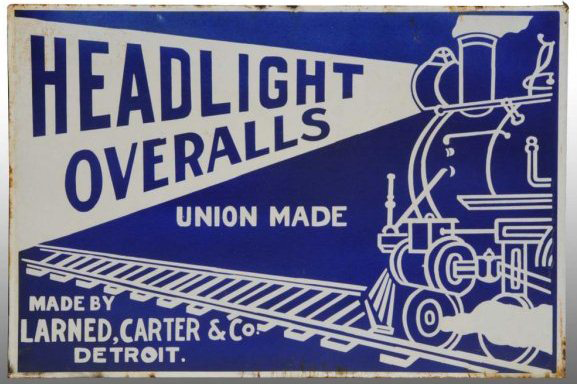 It reads, “Headlight Overalls, Union Made, Made by Larned, Carter & Co., Detroit” and features a train shining a light along train tracks.